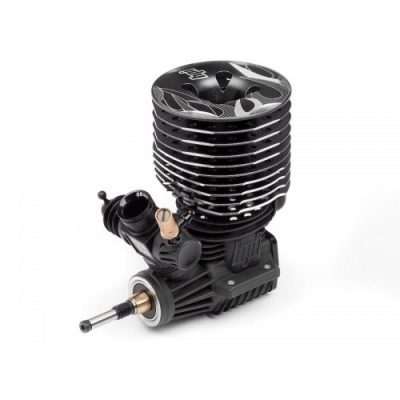 The F3.5 V2 features a new crankcase and heatsink design with larger heatsink fins for improved cooling. This new design makes the engine 22g lighter and 4mm taller. A new pullstart utilises a one-way bearing encased in a large 14mm hex for increased durability. The F3.5 engine will give you eye-opening acceleration and crazy top speeds! The engine is started by a simple pullstarter system and the two-needle carburettor allows you to fine-tune the performance for any kind of weather or fuel. One added benefit of the Nitro Star F3.5 is that it's a race-legal .21-size engine, which means you can drop down to your local track or club and enter in a race as soon as you open the box!